turbo mode, why it is included what the turbo mode in the browser and can I disable it not clear to everyone. Meanwhile, it is quite a useful feature. It is intended mostly for slow USB modems, when the speed of the Internet connection leaves much to be desired. If your browser is enabled turbo mode, the page elements that require high speed (such as images, video and audio online) when you drop the connection speed below 128 kbps. will not be loaded. Therefore, the page will have the opportunity to boot faster .If you have enabled traffic, which depends on charge, turbo mode helps to save on traffic. If you have a high speed unlimited Internet, then you save nothing and the turbo mode should be turned off, otherwise when you upload images, audio and video issues may occur. 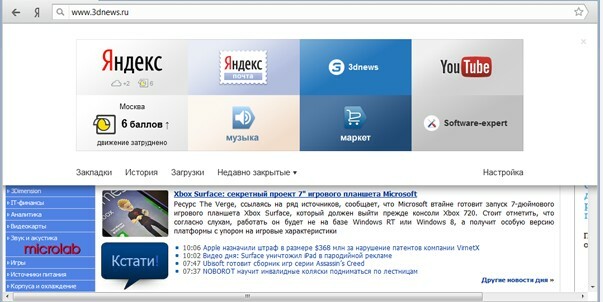 Turbo mode is enabled in all popular browsers, such as Opera, Mozilla, Yandex, and others. To turn on / off the turbo mode can be entered in the menu item of the browser settings, which is usually presented on the main page in the upper right corner in the form of gears. Enter in this tab, choose from the drop down list "Show advanced settings". Find in this tab the performance mode "turbo" and put or Vice versa, remove the check mark in the appropriate box.